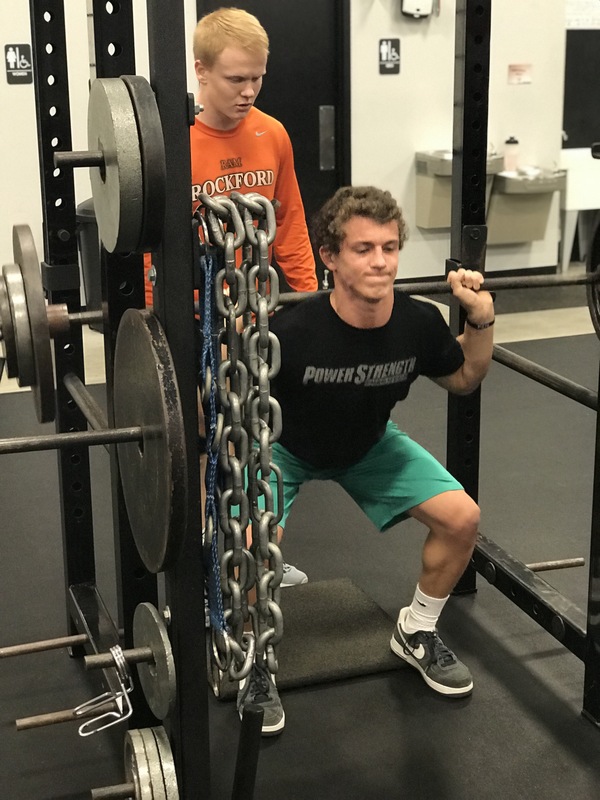 Zane Way is entering his Junior season at West Catholic High School and has been training hard at PSTS for multiple years. This past winter he has been a part of the Premier Advanced Football Training group consisting mainly of upperclassmen, who have aspirations to play football at the next level. This group is challenged not only physically, but mentally as well during weekly leadership discussions. Zane’s hard work and dedication have put him in a great position to be a big contributor this fall as West Catholic comes off another state championship season. Read what Zane has to say in this Athlete Spotlight Interview. Keep reading on to see a mother’s perspective of Zane’s constant development. How long have you been training at PSTS? I’ve been training at PSTS for 3 years now. Football and Track. In track, I run the 100M, 200M relay, 300M relay and I do the long jump. A family friend and his parents both recommended it. Stay in good shape, improve my speed, strength, vertical. All the things that will make me a good football player. Describe your ability before attending PSTS? What was your mindset like? Before PowerStrength I didn’t really workout that much. I was just a little speedy guy who could jump kind of high. That’s kind of all I was. I was just a scrawny, fast guy. What is like now that you have spent time at PSTS? I still have the speed, and my vertical jump has gone up. I’ve also added a lot of strength so I can be more than just a fast running back. What have your results been like since starting PSTS? And/Or – what has been one of your biggest hurdles you have had to overcome in the gym? I’m really trying to get the push-up record and the 10-yard dash record in the gym. The workouts are really great, and the coaches are really awesome and fun to be around. I have a lot of friends that I see from school at PSTS, and I get to make other friends as well! Floor Press, I think it’s really creative. Its a good spin-off of the Barbell Bench Press. The dogsleds. The heavy weight and long distance are brutal! What have you sacrificed to attend PSTS? A lot of my time. There are a lot of things I don’t do because I train here, but I think that it is worth it. My mom sacrifices a lot too, and invests in me to come here. What’s your favorite PSTS Value/Brick? Growth Mindset – Having a growth mindset requires you to work hard and give it your best. You have to constantly get better. I don’t want to settle. Win a state championship this year and next year at WC. Down the road, my goal is to play college football. How often do you train at PSTS? What else do you outside of the gym (other training)? During the winter and summer, I train here as much as I can. Usually between 3 and 5 times per week. I also workout at school with my team. It’s usually early in the morning before school, or in the summer its at 8am. My head coach – Coach Hyland. He is my guidance counselor as well, so I talk to him a lot. He’s really nice to me and pushes me to work hard.